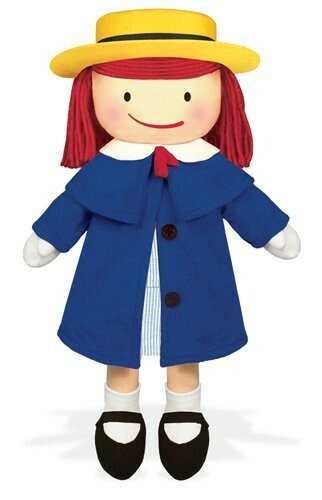 Madeline steps out of her books and into your arms as your very own soft doll. 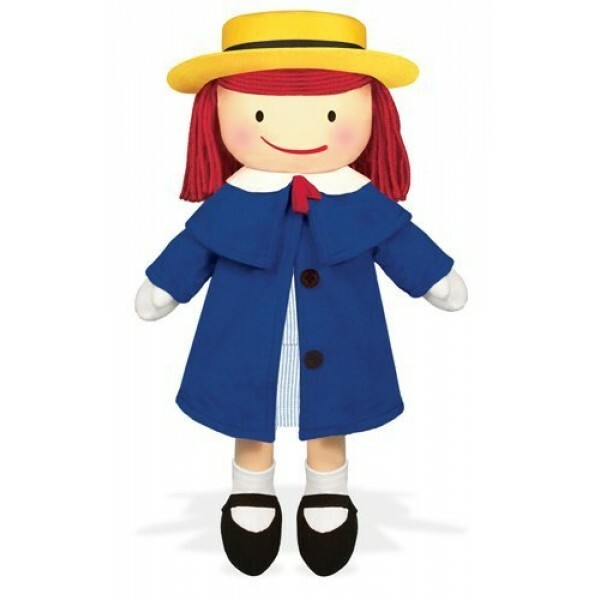 YOTTOY's Classic Madeline Soft Doll comes to life dressed in her classic removable blue coat, school dress and yellow hat with grosgrain ribbon trim. With her familiar embroidered features, blush cheeks, famous red yarn hair, socks and shoes -- even an embroidered appendix scar -- our Madeline Soft Doll is sure to become a beloved friend. For more products featuring this classic children's character, visit our Madeline Collection.